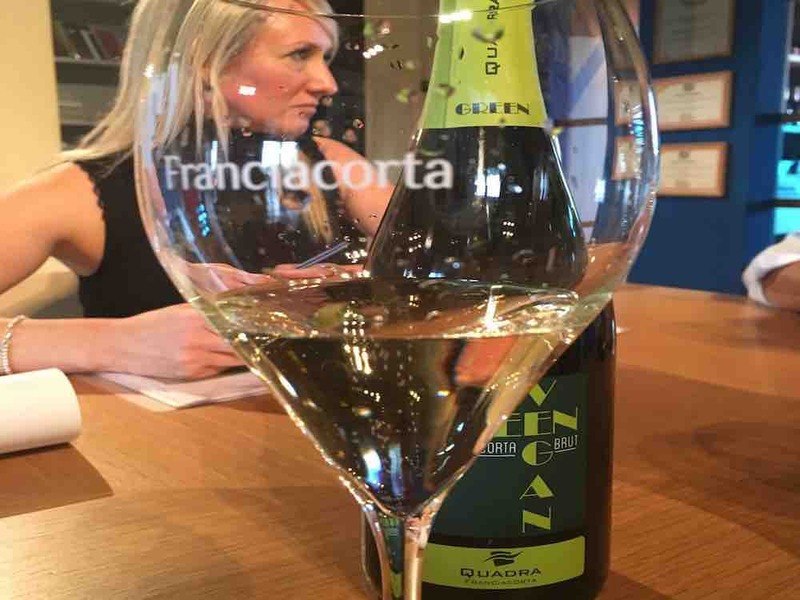 Mario Falcetti is Managing Director at Quadra and his office has a romantic view on the gentle vineyards of Franciacorta (the countryside of Lake Iseo). He is one of those persons you always hope to meet in your life. An intellectual who doesn’t give smiles away and enchant you with his words … all carefully selected. As agronomist first and enologist afterwords he begun, 7 years ago, a non-return path towards the future. The idea of the Green Vegan Brut started from his strong desire to remove all the unnecessary ingredients from wine-making (physics and time instead of chemistry). But it is at the act of certifying it that all the significance of this new label appears. By eliminating some elements Falcetti was, actually, adding something: the value of an ethical wine. Cruelty free, for sure, but sustainable at the same time. Because Green Vegan Brut is not the wine created by renouncing or surrogating … is the wine who saves the virtues of tradition by satisfying new attentions. And it’s an inclusive wine. Suitable for Vegans but, at the same time, for all those claiming a wine respectful towards nature’s rhythms. Green Vegan Quadra is the expression of the love for the grapes and for the wine. It’s the label of a producer who, instead of accepting as “non-editable” the current wine-making procedures, has become exponent of a new awareness. And it’s good! Incredibly good!